Slalom is a fiercely competitive Olympic discipline. The challenge is to run a section of rapids, passing through approximately 25 gates suspended above the water without touching them with any part of your boat, paddle or body. Competitors need to get the gates in a specific order and direction - you've got to paddle downstream through green and white striped gates while you need to paddle upstream through red and white gates. Slalom paddlers race against the clock, and overall times include your time from the top to the bottom of the course as well as any penalty points you've picked up for hitting or completely missing a gate. There is currently a slalom course at Shaws Bridge on the River Lagan: Grid reference: 325 691 OSNI 1:50,000 sheet 20. 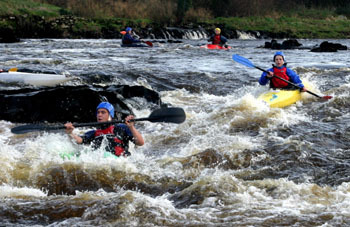 Or you can test your skills on Northern Ireland's white water venues. Please note there are no specific training venues in Northern Ireland but if you want to maximise your potential then try out Northern Ireland's white water venues. 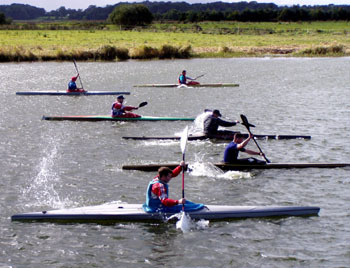 Marathon and Sprint are both types of flat water canoeing races. Though they many seem very similar to the untrained eye, they are actually very different events. They both involve covering distance in fast, tippy boats, but there's much more to the two sports than that. Sprint racing's more controlled than marathon racing- races take place in specific flatwater venues with clearly marked lanes. Although you may be racing against other paddlers in your category, it's your time over the course that really matters. Races tend to be at large regattas. Please note there are no specific training venues in Northern Ireland but if you want to maximise your potential then try out Northern Ireland's flat water venues. Playboating is all about using the waters flow to perform acrobatic tricks like cartwheels, airborne somersaults and surfing and spinning on waves. Some paddlers "park and play" at a specific "playspot" while others will throw tricks as they travel down a river. However you choose to do it the emphasis is on fun, enjoying the water and sharing moves with your friends. Freestyle is the name for competitive playboating. At the higher levels, Freestyle has become a seriously competitive discipline, including international events such as the European and World Championships. 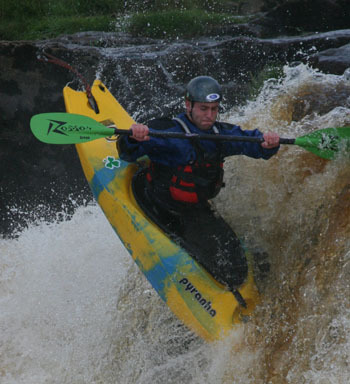 Polish your moves at Northern Ireland's white water venues. Please note that these are not all specific playboating venues. If you're a paddler who enjoys team sports and ball games, then canoe polo could be right up your street. Speed, dexterity, lightning reactions, ball skills and good teamwork are the ingredients of a polo player. 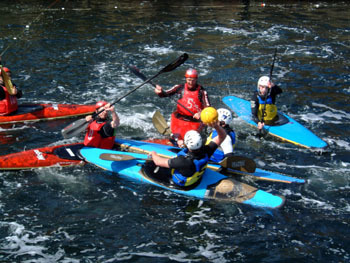 Canoe polo is played between two teams of five paddlers (with up to three reserves on each team). The aim of the game is to score goals by throwing or paddle flicking the ball into the opponents' goal, which is suspended 2 metres above the water. For further information go to www.cani.org.uk and select the ‘competition squads’ section. If you want to sharpen your competitive edge then try out Northern Irelands flat water venues. Please note these are not specific polo venues. Kayak surfing is a committing sport - there are few things more exhilarating than screaming down a powerful ocean wave. Speed, precision and fast reactions are essential if you’re going to tear up the wave face and finish with a spectacular airborne exit. 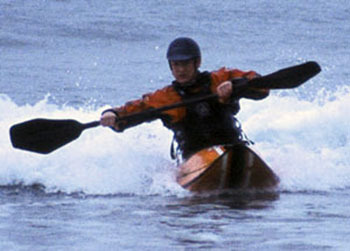 If you want to perfect your precision then try out Northern Ireland's kayak surfing venues. Marathon and Sprint are both types of flatwater canoeing races. Though they many seem very similar to the untrained eye, they are actually very different events. They both involve covering distance in fast, tippy boats, but there's much more to the two sports than that.Marathon races are much what they sound like - demanding test of endurance over long courses. The courses can be anywhere over four miles and the longer courses include a number or 'portages' where racers carry their boat for a given distance around an obstacle before getting back on the water. You're always racing against the other people in your class so you can tell how you're doing against the rest of the field. 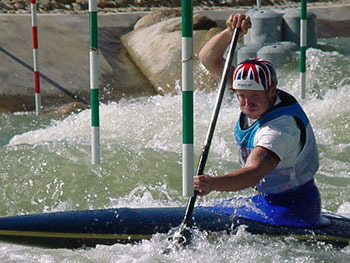 Marathon paddling has a bi-annual World Championships, where the course generally takes between two and a half to three hours for the athletes to complete. There are also a number of other famous races, including the Liffey descent in Ireland and the Sella descent in Spain which covers rapids and weirs - as well as speed, these races take white water ability. 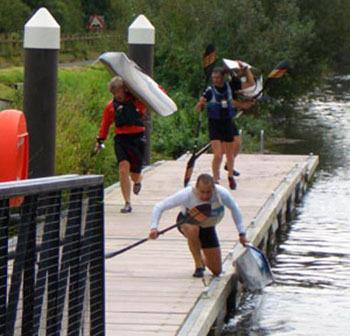 If you want to maximise your endurance then check out Northern Ireland's flat water venues or white water venues. Please note that these are not all specific training venues. For further information and club details contact the Canoe Association of Northern Ireland (www.cani.org.uk).